Sign up and receive Property Email Alerts of Apartments for sale in Bloubergstrand, Blouberg. Situated on the 10th floor this luxury 2 bedroom apartment really does give you a view from the top.Fully furnished with large living area and open plan kitchen the unit offers lots of natural light and space.All rooms are tiled,the main room has a sliding door onto the balcony and an en suite bathroom.The kitchen has plumbing for 1 appliance and a gas hob. 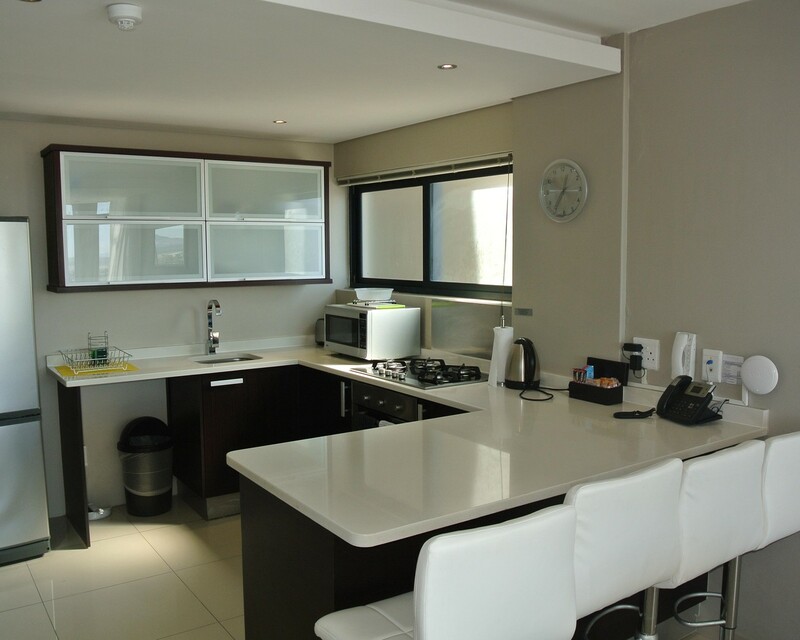 Located within an hotel this self catering unit is a home away from home. Sign-up and receive Property Email Alerts of Apartments for sale in Bloubergstrand, Blouberg.